The competence network Surface Alliance is made up of the German companies Hemo GmbH and LPW Reinigungssysteme GmbH and Bertoma GmbH at international level together with the foreign partners MecanoLav Ridel S.A.S. in France, NGCT Cleansys PvT. Ltd. in India and Washtech S.A. in Mexico. These six specialists in industrial parts cleaning operate worldwide and complement each other by providing the entire solution for challenging cleaning jobs. Years of experience, tried and tested technologies as well as a reliable service and sales network are the basis of their success. Surface Alliance has pooled the most advanced ideas and practices from research, development, purchasing, manufacturing and service, resulting in tailor-made and innovative solutions. Cost-optimized and energy-efficient. Whether for the smallest components or pipes up to 30 metres in length, fine or superfine cleaning, requirements of the automotive or aviation industry, medical technology or other innovative industries. Surface Alliance can tackle any field of application and has the right solutions for any job. Particularly their targeted support and advice along the whole process chain is one of the strengths of this cooperation, making it unique in this industry. The equipment and cleaning systems of Surface Alliance are successfully deployed all over the world. 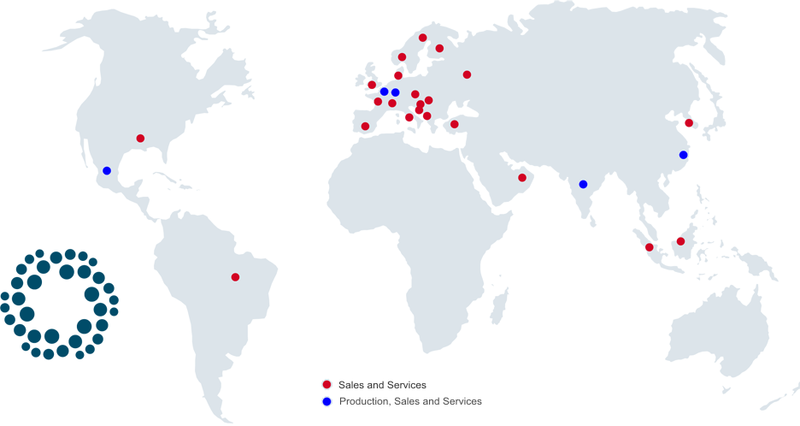 Partner companies in many countries guarantee our customers competent and prompt service in all matters. It was in 2017 when EMO Oberflächentechnik GmbH and Hösel GmbH, two long-term partner companies from Bretten-Gölshausen and Ötisheim, merged to become HEMO GmbH. Already before the merger, the two companies had been among the worldâ��s leading manufacturers of parts cleaning systems for the use of solvents and combined procedures involving solvents and aqueous media. The development of the patented VAIOCS procedure in 1995 still reflects the state of the art when it comes to the safe use of flammable solvents at temperatures above their flash point. Until the patentâ��s expiry in 2013, many well-known market competitors had used licences for a process they still use today. Another groundbreaking stage of development has been implemented with the companyâ��s HYBRID technology. To perform particularly sophisticated cleaning tasks even better, this technology uses solvents and aqueous media in individual, consecutive cleaning steps in one shared treatment chamber. The most recent development, the BEYOND procedure, was presented in 2016. Instead of using separate steps, it involves the simultaneous use of solvents and aqueous media in a mixture. BERTOMA GmbH is a well-known service provider in the field of industrial parts cleaning, having more than 20 years of experience. Equipped with stateof-the-art cleaning machines manufactured by the Surface Alliance partners, BERTOMA focuses on commercial parts cleaning and on iron bonderizing. The range starts with simple degreasing and ends with particle cleaning either for single parts or for bulk material â�� all depending on the customerâ��s requirements. In addition, BERTOMA offers analysis and documentation of the cleaning results in its own final residue laboratory as well as the proper packaging. BERTOMA also specializes in state-of-theart refurbishment of used cleaning machines in a separate production area. LPW Reinigungssysteme GmbH is one of the leading manufacturers of high-quality systems and process technologies in industrial component cleaning with aqueous media. The highly specialized systems are used in the mechanical engineering, automotive, aerospace sectors and by suppliers to these industries, as well as in general industry. The range of products and services of the company includes standard and individual solutions for the optimization of manufacturing processes with regard to energy efficiency, availability and quality. With the division High Purity LPW Reinigungssysteme GmbH is now in the position to to provide innovative Final Cleaning Technology for many industrial branches like Medical Devices, Optical and certainly Semiconductor suppliers. Hereby, among other leading etch technologies, the new CNp-Technology (Cyclic Nucleation process) takes place. Among this range, the MecanoFAST is the most representative product of MecanoLavâ��s â��One-piece flowâ�� appproch. Cleaning and drying a part in few seconds, this compact system can be easily integrated into production lines. Ensuring optimal user-friendliness by reducing the distance between previous and next operations, the modeling of a specific tool allows efficient cleaning in accordance with inter-operation or final cleaning specifications. NGCT Cleansys manufactures customized industrial parts cleaning & degreasing systems based on water and/or solvents. In addition to the innovative single chamber multi process systems, NGCT is also able to engineer high-quality multi-chamber spray and immersion systems which have high quality standards and are environmentally friendly. Waschtech, based in Querétaro as the manufacturer of industrial cleaning systems for the NAFTA region, is also SurfaceAllianceâ��s service center for the continent of North America. Your direct contact for all queries regarding complete solutions in cleaning technology.